BEAVER CREEK — Switzerland’s Beat Feuz finally got a win at the Xfinity Birds of Prey Audi FIS World Cup downhill on Friday, Nov. 30. After three second-pace finishes (2011, 2014 and 2017) at Beaver Creek, Feuz, the defending World Cup downhill champion, grabbed the brass ring at Beaver Creek with a time of 1 minute, 13.59 seconds, just 7-hundredths of a second ahead of fellow countryman Mauro Caviezel. Norway’s Aksel Lund Svindal took third. Early starters seemed to have the advantage as weather moved in as the race progressed, even though the International Ski Federation moved to a weather start, meaning the race began lower on the Birds of Prey piste. 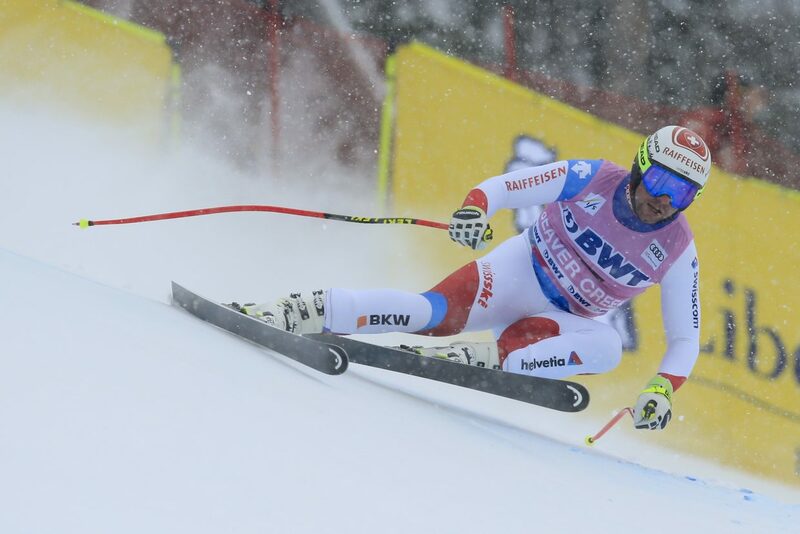 Feuz started seventh and took advantage of clearer skies. Feuz is no stranger to the World Cup podium, however. This is his 11th win on the white circus and 23 of his 34 career podiums have come in downhill. France’s Adrien Theaux took fourth followed by a tie for fifth between Frenchman John Clarey and Austrian Vincent Kriechmayr. The U.S. Ski Team seemed to have the makings of a solid day as Steven Nyman and Bryce Bennett tied for eighth at 1:14.15.